The number 1 reason why I went thrifting this time around was to find a an outfit for a cosplay I will be doing for this year's Sakura-con. (more info on the convention HERE). 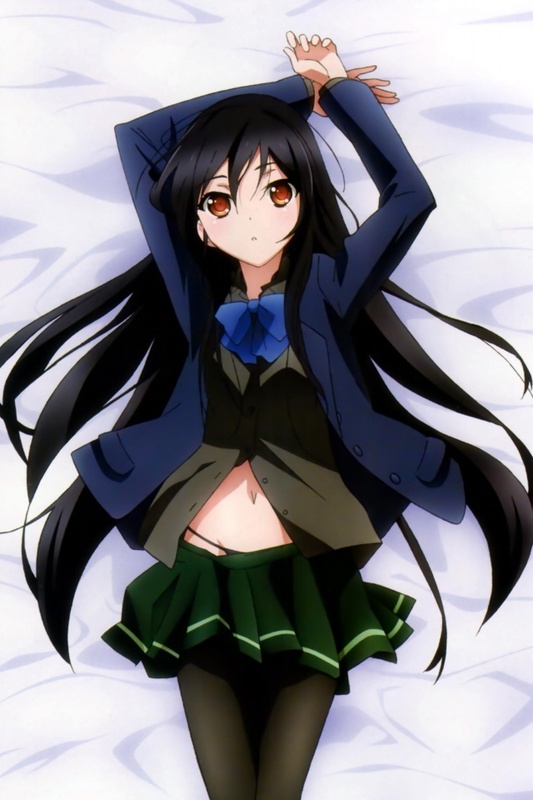 I will be cosplaying as Kuroyukihime from Accel World and wanted to do her easy school girl look as seen HERE. I was able to find 2 pieces for it and then some..
First is the navy blazer the character sports. I was able to find a 3 buttoned one like hers and it was only $4.99. Then I found a black short sleeved button up for $2.99 that would work perfectly under it. 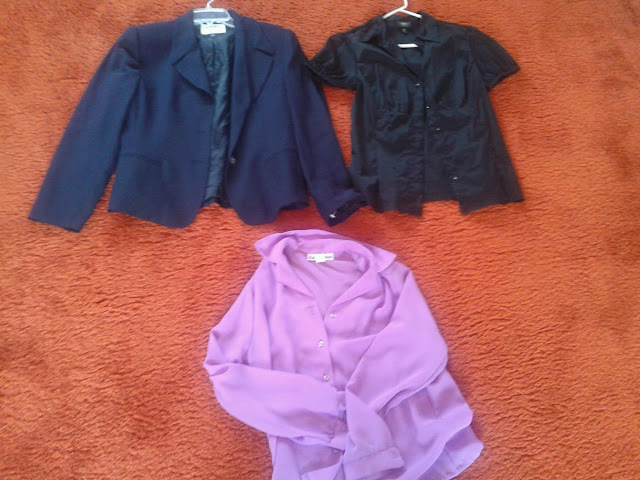 I was then just browsing around and this lilac/light baby purple blouse caught my eye and I knew I had to cop it. It was about $3 or $4 dollars. A steal either way and awesome quality. These were more of my "special" finds that were just even more awesome in quality or brand names. The top dark hunter green button up shirt (which I think I can also use for my cosplay) is form Banana Republic. It was in good quality and 1/2 off the price too since there was a sale going on so I ended up paying like $1.99 for it. 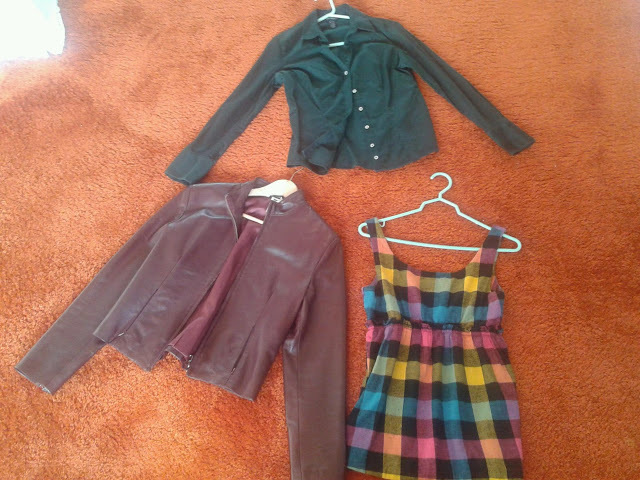 Then next thing that was an awesome find was this dark oxbloodish-brown leather jacket. It is real leather and Made in Italy. Even better. The quality was like it had never been worn before and even though the size said small, I decided to try it on anyways and it fit perfectly and was priced at $7.99--probably my best find ever. The last thing that caught my eye was this colorful plaid tank top tunic piece that is from BB Dakota. Its very flattering and an awesome piece for layering and it was priced at $4.99. Overall, a very successful trip to Value Village. I need to go again soon to exchange one thing that didn't fit right and hopefully I can find some pleated skirts this time for my cosplay outfit.